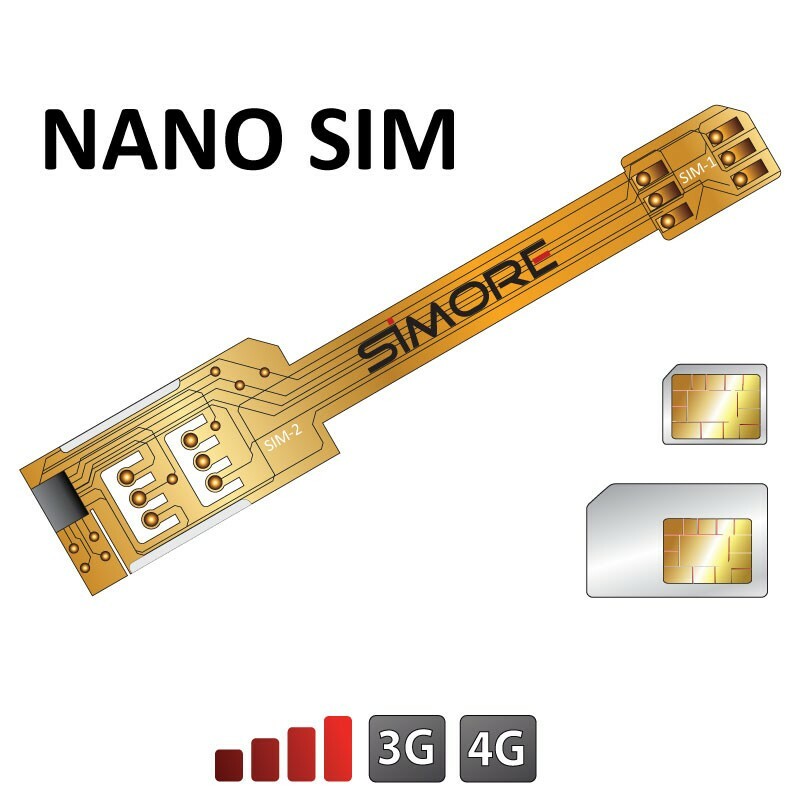 The DualSim adapter X-Twin Nano SIM is a Dual SIM device which allows to have two SIM (nano SIM card and standard SIM card) in your Nano SIM format smartphone. The Dual SIM card adapter X-Twin Nano SIM includes the shortcut function. You can switch between both SIM cards by dialling #11 (SIM-1) or #22 (SIM-2) directly via your smartphone keyboard. Name your SIM to know which phone number is connected and avoid roaming fees. The Dual sim card adapter X-Twin Nano SIM is very convenient for travellers, businessmen, or anyone who uses more than one SIM or phone number (professional SIM , private SIM or foreign SIM). Swap from one SIM card to another manually or automatically.